Tools inserted in to the well for both workover and logging efforts, wirelines and slicklines are very similar devices. While a slickline is a thin cable introduced into a well to deliver and retrieve tools downhole, a wireline is an electrical cable used to lower tools into and transmit data about the conditions of the wellbore. Usually consisting of braided cables, wirelines are used to perform wireline logging, as well. 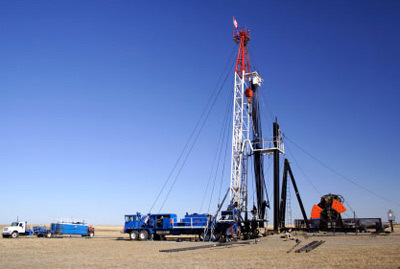 Used to place and recover wellbore equipment, such as plugs, gauges and valves, slicklines are single-strand non-electric cables lowered into oil and gas wells from the surface. Slicklines can also be used to adjust valves and sleeves located downhole, as well as repair tubing within the wellbore. Wrapped around a drum on the back of a truck, the slickline is raised and lowered in the well by reeling in and out the wire hydraulically. First developed by Conrad and Marcel Schlumberger in 1927, wireline logs measure formation properties in a well through electrical lines of wire. Different from MWD and mud logs, wireline logs are constant downhole measurements sent through the electrical wireline used to help geologists, drillers and engineers make real-time decisions about drilling operations. Wireline logs can measure resistivity, conductivity and formation pressure, as well as sonic properties and wellbore dimensions. 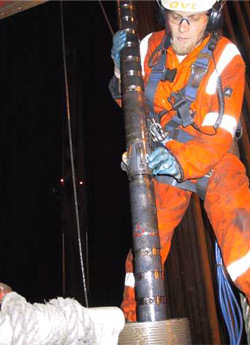 The logging tool, also called a sonde, is located at the bottom of the wireline. The measurements are taken by lowering the wireline to the prescribed depth and then raising it out of the well. The measurements are taken continuously on the way up, in an effort to sustain tension on the line. When producing wells require remedial work to sustain, restore or enhance production, this is called workover. Many times, workover operations require production shut-in, but not always. In workover operations, a well-servicing unit is used to winch items in and out of the wellbore. The line used to raise and lower equipment can be braided steel wireline or a single steel slickline. Workover operations conducted can include well clean-up, setting plugs, production logging and perforation through explosives.